There is a long history of collaboration of film and TV production and jewellers. This subtle product placement has been prevalent ever since movies were invented. Of course actresses have to look their best when on the screen or on stage and top quality jewellery can make the difference between a good 'take' and a bad one. Below are some famous jewellers who have managed to get their products into numerous films, TV programmes and onto the stage. These jewellers all have one thing in common, namely their ability to create stunning pieces which gather admiration whenever they are seen. It's this ability which ensures a long and fruitful partnership. Founded in London in 1962, David Morris Jewellers soon became a notable name in the field of quality jewellery. However, in 1971, a partnership was formed that would open the name of David Morris to a whole new audience. Because of the friendship between David Morris and actor Roger Moore, Moore put the designer forward to provide jewellery for his James Bond pictures. This started a partnership that continued beyond Roger Moore's tenure in the role, as David Morris jewellery has appeared in many other James Bond movies. The most successful of the Bond pieces was the Diamond Scoop necklace as worn by Teri Hatcher in Tomorrow Never Dies, selling commercially at 140,000 pounds. One of the biggest names in the world of movie jewellery is Eugene Joseff, although his career started our on a very different path. His interest in metal work led Joseff to employment as a foundry worker, but with an interest in marketing and advertising went into business for himself. He travelled with his brother to Hollywood, and began to rub shoulders with some of the most influential people in show business. These connections meant that Eugene Joseff had the ears of producers and directors. So much so, it was noticing Constance Bennett and Lucille Ball were wearing anachronistic jewellery for the 16th century setting of The Affairs of Cellini that led him to produce his own pieces for movies. Soon, Joseff's name was linked to the Hollywood elite, and he began to sell his high end jewellery at 500 premium boutiques across the US. As Hazel Atkinson jewellery has appeared in several British film, TV and theatre productions, it's hard to list everywhere they've appeared, but once you've seen her brightly coloured aluminium pieces, they're hard to ignore. 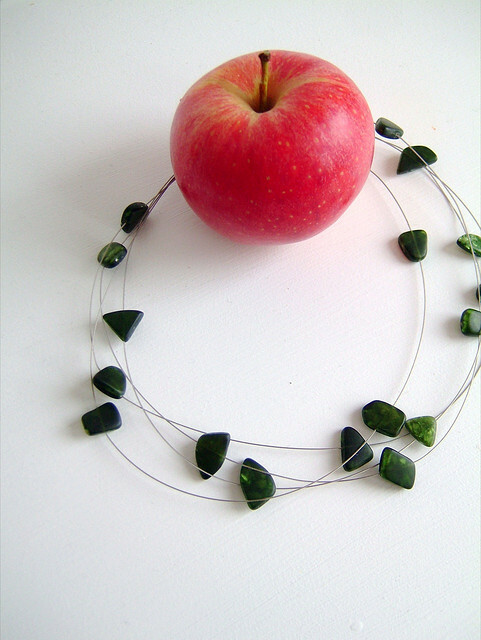 The term 'wearable art' is often bandied around when it comes fashion jewellery. When it comes to the collection from Hazel Atkinson, however, it's very apt. It's easy to see why the designer's work has been used in theatrical productions. Each piece is bold, yet tasteful, dramatically capturing the glow of the stage light. Peter S writes on a large range of subjects including jewellery, travel and sports.